Daniel Lyddy built the previous church in Abbeyfeale in 1847. Fr Lyddy went to America to collect money for the new church. Later, it became known as the Famine church, although Abbeyfeale was not badly affected by the Famine. On his death, Fr Lyddy was buried in the church that he built. There is no trace of this church as it was knocked due to dry rot. There is a boy's school on the site on Church Street. The bell of the famine church remains in the schoolyard. 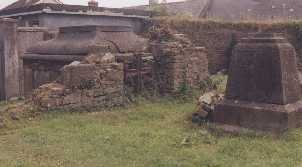 The local landlord, Mr Richard Ellis of Carlow, gave the site for the church. The walls of the old church in the abbey graveyard were beginning to collapse. 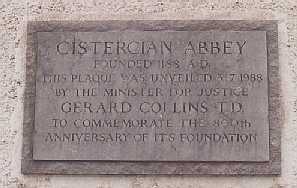 Michael Coghlan was parish priest of Abbeyfeale from 1856 until he retired in1880. After his death in 1883, the high altar in the church was erected to his memory. A thatched chapel was built on a site that incorporated some of the old abbey. This was the original parish church in Abbeyfeale. The date of this church is unknown. The abbey was in the centre of town on the banks of the river Feale. Local lore has it that the abbey faced west into Kerry. During the Elizabethan campaign in Ireland, the monks lived amongst the people. According to the late writer Brian McMahon, 'Bog Latin' became a language during this time, mixing the Latin from the monks and the Gaelic from the ordinary people.